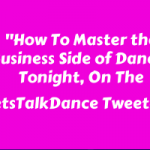 Join the #letstalkdance tweetchat, and chat about hot topics for professional dancers, dance teachers, and dance studio owners from around the world! 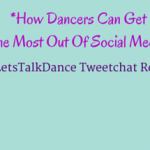 Since 2010, the #LetsTalkDance Tweetchat has been the place to be on Monday nights for all dancers on Twitter! Our weekly live chats unify, educate, empower, encourage, and inspire dance artists and dance enthusiasts, through our interactive and invigorating discussions. We have an awesome time getting to know each other, sharing our stories, struggles, successes, and favorite resources. 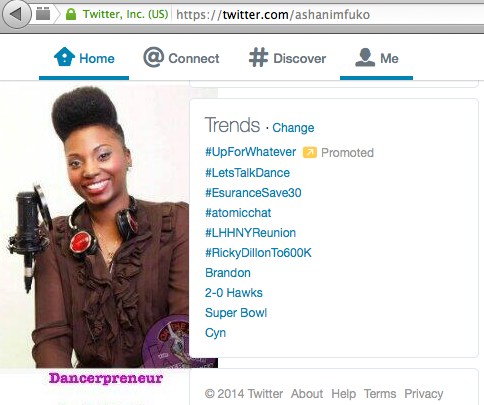 The Let’s Talk Dance Tweetchat Is Usually A Top Trending Topic On Twitter! Our hashtag quite often becomes a Top trending Topic on Twitter during our Tweetchats, with the likes of prime time tv shows!! How cool is that! The power of dance is incredible!! 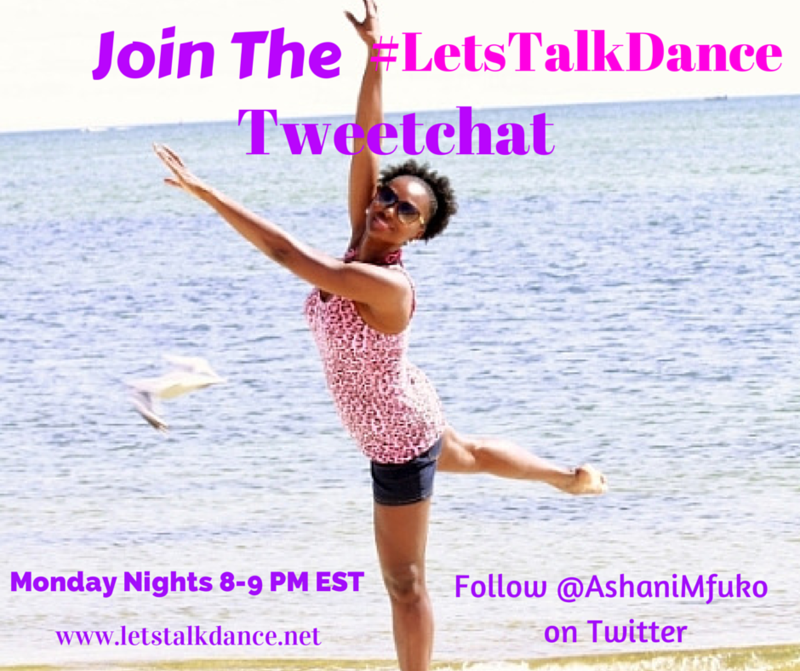 UPDATE: The #letstalkdance Tweetchat will happen once every quarter, on a Monday night, from 8-9 pm EST. 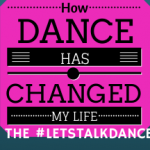 JOIN THE #LETSTALKDANCE MAILING LIST FOR UPDATES ON WHEN THE NEXT TWEETCHAT IS HAPPENING. 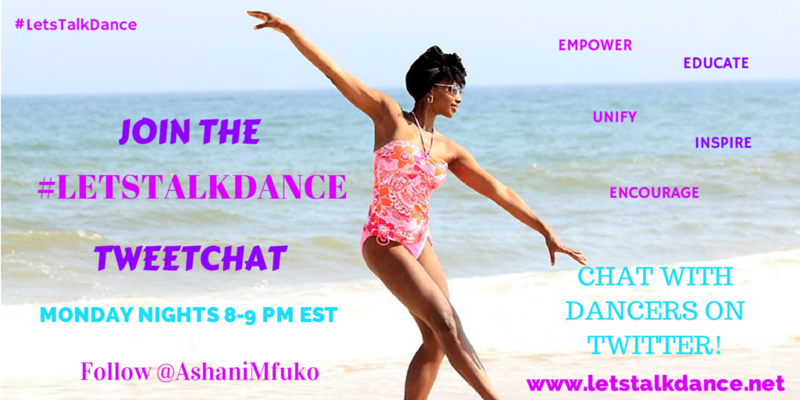 – Follow me @AshaniMfuko to join the chat, and see the questions and topics for the live chat. – Follow along with all of the Tweets in the chat by going to, http://tweetchat.com/room/letstalkdance. 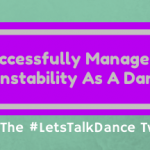 – Reply to, and re-tweet (RT) each tweet that you see with the #letstalkdance hashtag, and get ready for a wonderful time connecting with other dancers on Twitter! Please share this post on Facebook, and on Twitter, and help spread the word to dancers around the world. I look forward to chatting with you!